This post is about brushes that are more appropriate for professionals or for those of you looking for easy and efficient make-up brushes, these are more on the higher-end side. I want to emphasize that there is no need to go high-end and if you watch Youtube tutorials you’ll notice that make-up artists don’t always use expensive brushes to get amazing results, and actually even with the best make-up brushes we still need to know what we are doing… so practice is the key. Since the question I receive over and over again is about “upgrading to higher end make-up brushes for a professional kit“, that’s what I’ll cover today. There are several factors that make a brush more or less suitable for professional make-up artists and meeting those factors is what will make a brush best fit for purpose. Being very close to make-up artists, to brush manufacturing companies and doing some work myself is what made me aware of that criteria, there is certainly more to consider, but the criteria here is what really matters to me. Now, I’ll leave my collector-me outside for a while and let the “more reasonable side of me” select the brushes I put in my kit explaining briefly my thoughts and preferences about each one of them. White brushes will get dirty very easily, even if you wipe them or sanitize them they may still look dirty and not that appealing to your clients. This is not a generality but for powder products it’s easier to work with darker hair brushes. That criteria changes if you are using cream products which will be more appropriate to use with white natural bristles, weasel, kolinsky, or synthetic for example. I am not going into detail here but cream or liquid products may damage the dye and coating on the natural hair, therefore bringing damage to the bristles on the longer term. White natural brushes, which are bleached, do not have that same problem and can in general be used with any product, powder or cream. If too soft, you will need more time to do your work and you don’t want that unless you are paid by the hour and you can afford to take your time! Often you will have to rush and stronger brushes will get you to the destination faster, ok maybe you’ll be driving on a more bumpy road but consider it like taking a short cut, it has its benefits. You will have to wash them often, sanitize them with harsher products that contain alcohol, use them many times repeatedly, so the more durable, the better. If too heavy your hand will not have the same dexterity when you get tired, if too light you may lack precision, if too thin you may not be able to hold it firmly, it too short you hand may be standing too close to the client, all these are important considerations and often until you try them, you don’t know if they will be good, it takes time and money to find the perfect tools and we all have different requirements. If you can apply make-up with a tooth brush or a mop, great! But just don’t give your clients the impression that you don’t master your tools! I personally need all the help I can get from my tools, sometimes I am so nervous that I tend to shake so don’t give me a scalpel please. I also personally prefer to use the same brush for several purposes because it saves on the cleaning and because it gets things done faster, even if I love brushes to the max I will not complicate my work but keeping it simple is what works best for me. A microfiber cloth to wipe the brushes in between applications with the same client is super handy. There are pros and cons for each, it depends on your own preferences and my own goes to natural, I find them more efficient and they dry much faster. On the other hand synthetic ones are often more durable and also often cheaper to replace. Some clients may be allergic to dye or to some synthetic fibers so if you really want to cover every situation, consider both type of brushes but that won’t be often the case therefore I am not taking that into consideration at least for now. Pick any brand you love and can afford, as long as you don’t have to stick to one particular brand, take the best of each. Some of you will not be able to do that because of contract reasons (schools, beauty brands, counters). I could never get married to only one brand so I will comment each brush I chose to try to give you the idea behind it, then if you are interested, you can adapt the same idea within the brand you’ll use. If you are working with more mature models, the brushes should be a bit different, slightly softer, efficient but gentle with the skin movement, if your clients have sensitive skin and are “afraid” of make-up, if you attack them with pokey brushes there is a chance you won’t be seeing them again, and worst, there is a chance they won’t be seeing any other make-up artist at all in the future because of that experience. 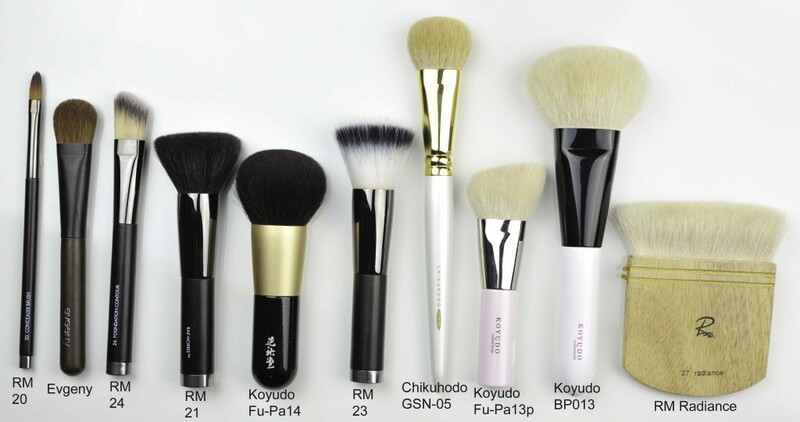 If it’s for special effects or theater you’ll pick stronger brushes that will handle harder textures, you have maybe noticed that the Geisha brushes are often rougher, that’s because the makeup used is thicker and doesn’t need to be blended to an airbrush finish but to a thick and heavy coverage. If the clients are young, used to make-up and want dramatic impact then you will have much more flexibility on what brushes you can use. Even if I used many different type of brushes and even if I have one of the biggest brush collections in the whole world, I just recently started working on others. The brushes here are brushes that I use either on young or mature skin, dry, combination or oily skin and they fit natural or slightly dramatic tutorials but I am not planning on doing special effects other than covering scars or correcting the skin. The belt here is quite small so I keep the brushes for the session on the belt and have a separate roll in a bag with some other brushes in case of a sudden change of plans. In any case, I am not taking more than the ones featured in the pics below. I go for brushes that have the perfect balance between softness and efficiency, that can work with several finishes and can make my work as easy as possible. It’s better to select brushes not too fragile and not too dense otherwise you may pack too much product and the blending may alter and kill your base application: better build up and blend softly, but surely, as you go. Size also matters, so the brushes here cover a wide range of purposes but I will explain as I go. My fav material is either soft goat, squirrel mixed with goat, or thicker squirrel bristles. 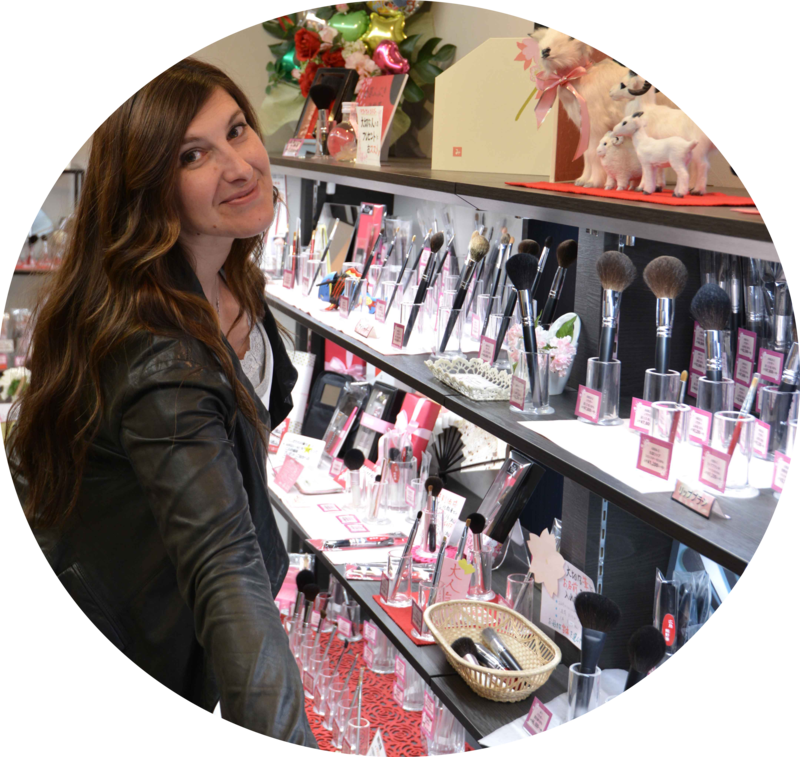 Rae Morris has a fantastic collection for the make-up artist, so has Wayne Goss, Koyudo (BP or Fu-Pa series), and Chikuhodo (GSN or RS series). I use a lot of Hakuhodo as well, specially the J series but they are not featured here since I use them mostly only on myself. For concealing, I use either the RM 20 or when I need point precision, the RM 14. I was very pleasantly surprised by this RM 20 concealer brush, precise yet flat and doesn’t absorb product. I use the Evgeny and the RM 24 to blend larger zones of concealer, to sculpt with cream, to place the foundation, primer or other tasks that involve cream or liquids. The RM 21 and the Koyudo Fu-Pa 14 are extreme brushes, I mean it. They have it all. If you work with mineral powders, (full face foundation or just a mineral finishing type of coverage), these two brushes are a must-have. The RM 21 is flat but the density is spot on, it adapt to the curves of your face, delivers an even finish whatever mineral powder you use (pressed or loose), the bristles are strong but they are soft, not pokey at all. Serves several purposes because you can also use it for polishing. The more you use it towards the side of the brush (bend it), the softer and more flexible it gets which covers many situations and needs. I use the Fu-Pa 14 more for setting the foundation with powder but it will also work for mineral foundation perfectly well. Another great option for home or professional use is the Chikuhodo Temari, it’s also a super interesting brush for mineral powders, it’s a bit big but last summer during my holiday in Spain I used that brush for 2 weeks for every thing, mineral foundation, bronzer, setting, polishing and even blush (not that kind of cheek-blush, but more of a side-of-the-face dimensional application), so it’s another gem for professional use. The RM 23 is the brush I use on very dry and sensitive skin, with liquid and cream foundation. As I said many times, this is holy grail material. Expensive for a synthetic brush but price is aligned with the performance. I have 3, keep one for the kit and rotate my daily routine with two of them. The Chikuhodo GSN-05 is part of the kit because it works with anything. The Koyudo Fu-Pa13p offers something quite unique, the longer side goes softly along the eye area when the shorter side offers more blending power and it’s probably a size that fits all or most of. I use the GSN-05 with any skin type, the Fu-Pa13p more with oily skin but it really doesn’t matter that much, they are all soft enough to fit most of the situations, never had a problem to use any of them on my dry and sensitive skin. The Koyudo BP013 is also a must-have in my kit, the bristles are different than all the other brushes, thicker but absolutely soft enough, that works so well with pressed powders, only issue : it’s really big. I wish they would do this in smaller sizes. Wayne Goss 13 has the perfect size and density, but I keep the WG for myself until I get a second one for my kit. The difference with the WG 13 is that the BP013 is a work horse and delivers more polishing power. The RM Radiance is a staple for finishing, blending the foundation. I need this in my life for ever and I couldn’t stop recommending it for every make-up artist. The Paula Dorf cheek is for blush, bronzer or contour, any type of powder application and with any product. The contour will not be thin with this brush but I am surprised how many people prefer a more larger contour and very very subtle, I deal with clients who are not used to wear strong looks so if I come with the full runway look it’s not that fun for them, it’s more about office appropriate looks that I am concerned and with an average age of 40. For thinner contour I love the Chikuhodo G-2. The G-2 on the Chikuhodo website is now a bit different but I just ordered it so that I can keep one in my kit and one for myself and I will also be able to tell you if they are the same brushes or not. It seems on the pics that the one I own is a bit more angled but we’ll see when it gets here. The winners for the fool-proof blush application are the Chikuhodo GSN-04 and Wayne Goss 11, soft, medium density, you can still buff and polish the blush application if you need to and you will not be causing an incident with your client. They will work with any type of blush, powdery or harder textures. 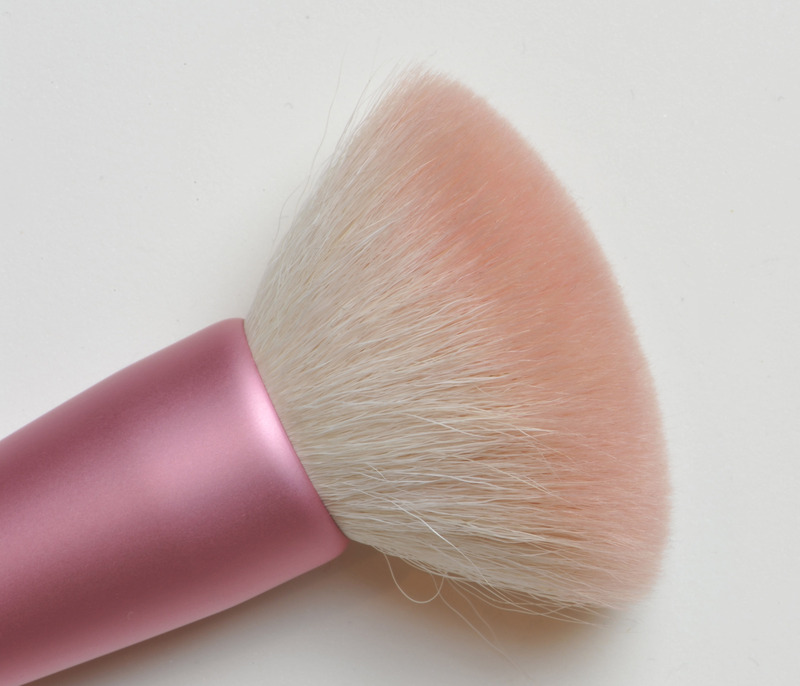 The GSN-04 is labelled as a highlight brush, yes why not, but you can also use it for bronzer, blush and highlight. Again two multi-purpose brushes. The RM 02 is for cream highlight (or powder) and for cream blush, it is dense but not too much, gets things done super quick. The Koyudo H013 is very special, I don’t know in which category to place it because I use it for finishing, blush, bronzer, contour (again thickish), I need to get a second one but honestly I want to get thousands of this and cover my desk (or bed) with them, just because I am crazy. The Koyudo H012 has a similar function but it’s a bit wider, super lovely brushes and if you love big fans, jeez you need these two. If it’s for yourself, get the H012, if it’s for a kit, get the H013, the H013 is only goat therefore more durable and even if it’s less soft, it’s absolutely adorable. Looks like a toy but it’s serious stuff. For brows, I use the BillyB eleven in order to be able to work with thinner eyebrows. On myself I use the Hokuto Ho-Gentei 4 that I bought on Rakuten, every single day of my life! The RM 16 is for brows but not only, that brush is terrific, super soft so you can also use it to smudge pencil along the lashline, very versatile and it should be in every professional kit. The BillyB nine is for mascara, when you want to work on tiny little hairs… then they tell you “did I had lashes THERE ?? ?” yep you did, you just couldn’t see them 😛 you have to grab the mascara with this brush and apply it straight from the brush, takes some time at the beginning but so worth it! The Koyudo BP036 is kolinsky hair, such a wonder (sorry if I am a bit emotionally strong on all these brushes!!) I use it to apply cream highlighter on the inner tear duct or the brown bone (just a thin line under the brows). Powder highlight application doesn’t last very long, if you pick up some cream pencil or cream shadow it will last longer on these zones that are more demanding in terms of long-wear requirements. For pencil I truly love the new Wayne Goss 20, I never have to correct the thickness of the application, gets the work done and doesn’t ask questions! Another one that I love is the Chanel 24, I am so pissed (is this word strongly rude in English?? not sure, sorry if I shock you, but even if it’s a strong word, it will never ever reflect how upset I am that the Chanel 24 is discontinued, seriously Chanel… you had something there that finally had gold value -unlike your quads- so why do you discontinue it?? Pic here for reference, if you find a nest of these, please send them to me 🙂 I’ll pay. For the mobile lid, I use the RM 12 and WG 18, totally surpassed the Mac 239, more fool-proof, work with all powder shadows and apply super evenly, love them to pieces and will need a few of each. The WG 19, RM9, and PD sheer crease cover all my needs in terms of crease application, I could take a thousand crease brushes with me because I love them so much but I can get away with these 3 in my kit. Then for blending I use the RM 7.5 or the WG 16 depending on what I need, softer blending: the RM, to tone down or polish: the WG16. The WG 16 is also great for cream products so anywhere I need to apply cream or set it with powder (for example concealer) I just grab that one. It can do so many things. The best brush ever for nose sculpting it’s the RM 7.5, could not get any better than that, the surface is just the right width, right density, it’s absolutely surreal ! I didn’t really go for nose sculpting before, didn’t had time in the morning for that additional step, now I do and it’s in the little details that you get so much credit for your work. I have several of the 7.5 so that I can make sure I always have one available for myself. The base shadow application is something I do with the RM 10 and WG 17 depending on the products and the skin, I often apply a cream base shadow so I pick the WG 17 for that but that brush works with anything, can be a bit big for some smaller eyes but so far I had no issues at all. The Suqqu spoolie is a gift I received from Suqqu, I don’t have many so I use that one for the moment, later on I will buy some from Hakuhodo I think, they just released very nice ones (If you go to the Hakuhodo USA website and click on New products, here, you will find a few interesting ones if you browse! For eyeliner I use either the RM 14 or the RM 16, depending on the product. The RM 16 is great with powder-to-liquid eyeliners and that’s the one that corresponds more to what I need, there are so many possibilities, then you have to choose the one that matches the type of products you use. For gel liner I love the Hakuhodo K005 but I prefer to use powder liners for the moment, I am really not an expert, applying liner on myself is one thing, applying on others it’s not yet mastered… Eye definition is key for an amazing eye but I can handle it with the ones that I selected for now, eye lining is a very delicate thing and topic that will be very personal to each artist. Muji makes little bottles like these, I fill one with alcohol and the other with setting water or anything else I need. The Paula Dorf is a sweep away pencil, I apply this very lightly on a cotton bud to correct mascara, or liner, or shadow. I need to get other curlers but curlers are a very important tool and a good curler reduces the risk of accidents. This is the Chanel one but I will hunt for new curlers when I go to Japan. The make-up remover that I use is the Bobbi Brown Long-wear, I couldn’t find anything else that worked so well, maybe I will someday but so far, this one has been with me for so many years and everytime I try to change brand I am disappointed. There are many brands that professionals love to use and many brands yet to discover. If I help you discover some that will make me very happy! I know that a few make-up artists follow me, if you have any comments to add or any recommendation of others brands, please don’t hesitate to leave your thoughts below, I would really truly appreciate that. There are many of you who wrote to me recently and who are really eager to start with higher end brushes for their kit. If you are not a make-up artist and want to share your fool-proof staples, I would love to know which ones they are. Good news… tomorrow they will work on my studio, I will have a second window installed and since I knew it only yesterday, today I have to empty the room to avoid accidents and to avoid covering the make-up with dust.. so I’ll have a busy rest of the day! I had other plans (complete the other pending posts!!!) but since I was waiting for a year to finally get them make the renovations in this room, I certainly don’t want to cause any more delay! For those of you who just recently joined, thank you soooo much! I am so excited! 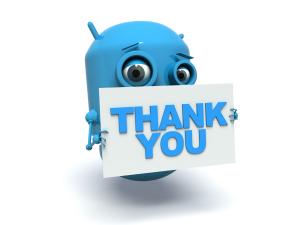 Sincerely thank you and a very warm welcome!! Love you all! I can safely say I have found the most amazing friends thanks to this blog and our passion for brushes! Brush picks for make-up artists was last modified: September 27th, 2014 by Sonia G.
Happy to look at your training related progress as well, you make me think of Duntin Hunter and Wayne’s professional kit reviews, I think I might see your trolley pic in instagram in the near future. but now the site is not in English anymore, I tried to order it but did not manage to do it at all. Before it was in English and super easy to order, now it’s not. Hi Bonnie!! How is your Japan haul doing? being unwrapped ? I am really happy you agree! for sure you know of my love for white brushes 😀 enjoying the J series for home use but I may get a few for cream products. So far I am really happy with this selection and it will last me a while !! Thank you for sharing these tips for a professional kit Sonia! As always, superb details. Im excited for your new/renovated studio as well.. It will go well for your training! I am also starting to look at the pro magazines for furniture ! it’s really overwhelming! Sonia!! I love your blog,i trust your review. I really like your work.I love to have a cup of coffee with you and a “brush talk”.i see you as my friend. I live in Greece(town:thessaloniki).And …..Summer is close!!! very important, and I appreciate your suggestions. how sweet of you, thank you very much for your comment! I am very happy that you commented because you are the reason why I want to take this passion one step further and do the professional training. I want to help and meet people like you so you cannot even imagine how much your reaction means to me. bless you for being here with us! much love to you and warm hugs from Switzerland! The hg list changes every day so I will have to split them into several categories, this was the professional kit one! i’m so excited for you to become a make-up artist. For yourself its often more a brush therapy when you use ultra soft brushes. But also they can often do a nice work too. I wish you the best and have fun with becoming a prof. artist. Ohh and your room !!! Hope its ready soon i want pics when its ready 😀 Are your furnishings and “color concept” for this room ready planned ? I love love to do things like that for my room. Go go bring all your brushes in safety ! ok… I will take pics before and after, I told them not to come today because I couldn’t manage to move the dresser so I still have tonight to take a pic.. it’s absolutely horrible (no walls and cables going everywhere) so so scary! color concept, you know the site banner green (like a lime green) well since I have a few things that color, it could be laquered white, with some of that green and maybe lacquered red (but I think it’s too italian hahhaha) so maybe purple ? either way, Japanese style with a lot of white and green but this can change 😀 I haven’t chosen the roof yet neither the wall painting..
Can you use color-concept in the hospital rooms ? 🙂 what is a very calming color ? Oh cool your BF will make some customized brush furniture for you that sounds awesome ! I think I would go for a simple color for them like white and go for some eyepatch parts on the wall with lime green and decoration in red ? Most green colors are calming. When I moved to my small apartment last year I painted a wall in dark jade green, looks nice and “elegant” but I wouldn’t choose too dark colors for a smaller room. yep, working on a sort of encyclopaedia 😀 I wish I had more time but that is quite the problem right now… sad! it’s my pleasure, you are truly amazing! Have fun and good luck may the makeup gods be with you! Thank you Tesla, I wish I could calm down and go forward without loosing my mind, I am so excited that it’s probably going to be a very crazy funny process! how many times I told my UK friends I was “pissed” !! maybe they think I was just drunk or on drugs o_O oh well… 😀 I probably should add a “off” after “pissed” to make it correct!! I knew this blog would help me with my English! yeah!! I know! I can be a bit evil sometimes! sorry 😉 let me know if you add some! I also find I use different brushes in my kit than on myself, and I agree that kit brushes need to be more efficient and have all-round functionality. I use a lot of the brushes you talk about in my kit. Other brushes I use regularly on other people are the 12 & 13 blending brushes by Nars, the Illamasqua blending brushes, smudger brush and eyeshadow brush, the Charlotte Tilbury blending brush, the Smashbox blending brush 10 and definer brush 15, and quite a few Bobbi Brown eye brushes (all except the large blending brush). I also use most of the Real Techniques brushes for jobs, and several MAC 217s. Oh, and I have a few super-cheap C135 brushes by Crown Brush! The brushes that would be perfect for my kit, but which I can’t bear to part with yet, are the face and eye sets by Wayne Goss. Thanks for sharing! have you tried the new Nars ? I saw the one that looks like the 12 or 13 and I was tempted but not sure I can stand the roughness, did you try the new crease one? 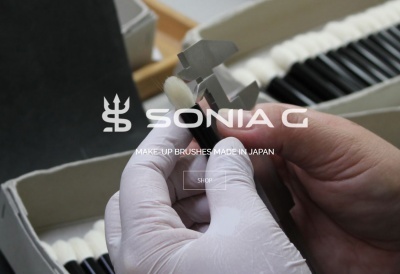 Thanks Sonia, I’ve always wanted the Smokie Lid brush and when I saw your tweet that it was again available, I immediately placed my order. It arrived a few days ago and I’m so happy with it. It’s very, very soft but perfectly dense and precise. Just awesome. Thanks for the info. Great post, I’m excited to hear how your MUA training goes. One day I hope to do the same for fun. So exciting about your studio too. Hope it progressed quickly and smoothly. I am doing it specially for fun because I love my other job that pays for my passion… even if some days… I would switch with pleasure! will share pics of the studio 🙂 thank you!! I too like the PD smoke lid brush.. It is very soft and a little bit more pointy than the Suqqu S, so you can make a slightly narrower line with it. 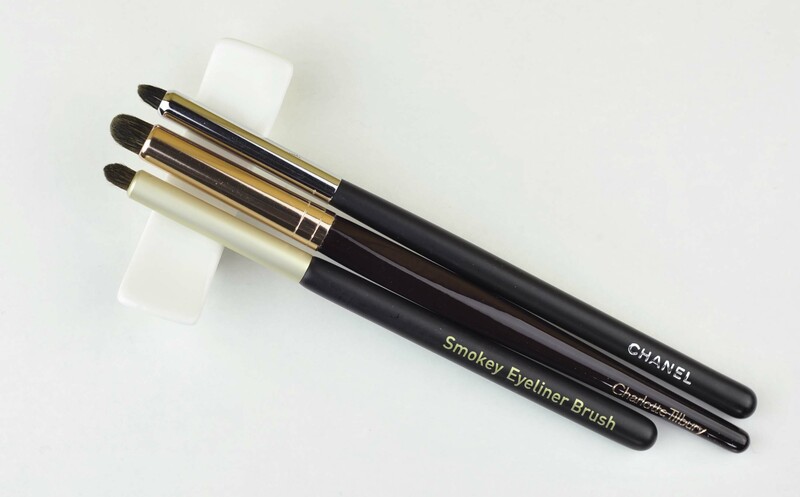 Just like the Koyudo C011 is a little bit wider than the Suqqu S. But I don’t get the brush hairs in my eyes when I smudge eyeshadow with the PD near my bottom lashes as I do with the other two brushes. That is because I don’t want too thick a line of shadow under the eyes, so I try to put it close to the lashes. And the narrower point on the PD brush makes it easier. Oh now you kill me! really ? That is going to be amazing!! sounds just perfect 🙂 thank you for the feedback Jeanette! I still prefer the Koyudo BP039 which is thinner and more controllable to me. yes it is Tamage, yes some people can be allergic to natural bristles and to some particular ones more than others. That’s a risk of course. Sonia, thank you so much for the detailed information you post about makeup brushes. I’m 65 and never knew there was so much to learn about the brushes. I enjoy reading all your blogs and certainly trust your opinion. Thanks again! You’re wonderful! Im not a professional I just play one at home!! Ha Ha! Im new to face brushes. Always used my fingers. But niw my skin is maturing (dont like it one bit! )& my fingers are not cutting it. I’ve got large pores an blackheads seem to be drawn to me! My skin is dry an I have sun spots pretty bad from my younger days of stupidity using tanning beds. 🙁 So I’m very interested in your blogg. Could you maybe sometime do a post on specific skin kinds like dry, oily, combo,an brushes for those types. I dont know if you talk about foundations but that would be another great post. Also what brushes are good for lrg pores an good coverage for sun spots? Always questions! Love your blog!! Thankyou for sharing. I totally get you, I have been there too! silly me! I hope I will learn a lot of things, we’ll see… 😀 and I will of course share as I go! Awesome post!! I love how informative your posts are, done with care, much more giving than thousands of other blogs. I love my Chikuhodo G-16. Bought it a couple of weeks ago in Hiroshima, and it’s a great work horse! The bristles are so long I don’t mind the shorter handle, since it’s no the shortest fortunately. I get a good grip of it 😀 Can’t stop wanting Hakuhodo Yachiyo though. G-2 or similar I also neeeed! I know! me too! Lisa just made me want it so so bad! California is on my wish list 🙂 It was on it 3 years ago and I nearly went there, even bought the travel guides but then my trip got postponed and never happened at the end. Thank you Sonia! Another great and informative post! I’m also not a proffessional MUA, but I’ve got some brushes in my collection, which are just “effective”. Not brushes for petting the whole time, but brushes which do their work fast. T Leclerc Crease brush is one of these, if you can get your hand on – go for it, it’s cheap and great! We are truly little lemmings !! But the difference between normal lemmings and brush lemmings is a small but important fact, we will be in brush Heaven with the most awesome brushes in all ways and the normal lemmings…. The pink and the other one which is a blend with squirrel/goat… waw they are both so cute and so nice to use! thanks for the feedback and I hope you will enjoy them as much as I do!! Your kit looks divine. Who wouldnt want those babies on their face. Cant wait to see yr work!!!! Good luck and HAVE FUN girl!! Hi 🙂 Great review! I was just wondering is there any reason why you haven’t mentioned any of the Hakuhodo brushes? especially the very expensive S series. Thank you! Just because I wouldn’t use them on a regular basis (the S series), they are very delicate (the handles) and could get damaged if used too regularly. The J series are fantastic, it’s absolutely not a problem to use them on a daily basis, I just prefer darker options. The other Hakuhodo series (B and G) are really nice too but I prefer to use them for personal use, it’s just a matter of preference. There are many truly fantastic for professionals for sure! I’m a makeup artist and it’s important for me to buy brushes that will last and unfortunately a lot of brands fall apart and/or the hair becomes scratchy after few months of use. 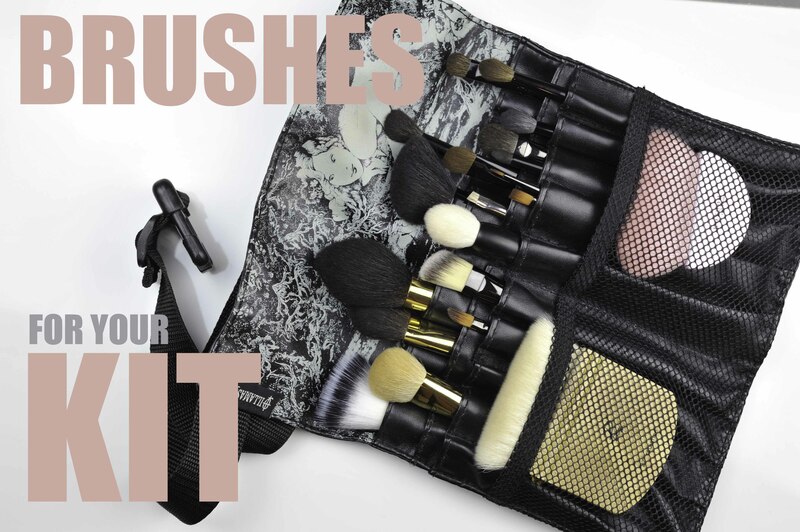 Would you recommend purchasing Rae Morris’ new brush set for a makeup artist? yes absolutely! the Rae Morris set is fantastic for a professional. YOu have to get used to the magnets though 🙂 but the use of the brushes is effortless! Really,really but REALLY ENJOYING YOUR POSTS!!!! I am an ” afficciomada” to makeup and brushes ( very basic) and enjoy your attention to detail and precision when describing, I have registered in the forum too but too shy/ or inexpert ,I am afraid. On another topic, I would also be interested in getting or being able to get that black pouch from Picasso . I am interested too , if you know how to do /. Get it – maybe Thanks to some reader….- would you Share, please? Thank you Rmeme, so sweet of you! Will send you all more info when I get my first “test” order, to make sure it worked and to know exactly the price and the shipping! Are there any brushes that you’d particularly recommend for use on hooded eyes? I love this video, it’s very helpful, then you can maybe try to find softer brushes but with similar shapes. Yo soy una enamorada del maquillaje y las brochas y creo firmemente que las buenas herramientas hacen lucir una sombra low cost como si fuera de alta gama. Además de cuidar la piel y hacer las aplicaciones más fáciles. Me encanta independientemente que sea para profesionales o personales pero si que es importante que un profesional cuente con todas las opciones que has comentado. Desde natural y sintético por el tema de las alergias que comentabas, es verdad también que la excesiva suavidad hace más difícil muchas veces el trabajo y eso lo he notado cuando uno una 217 que raspa un poco más. Sin embargo siempre tiro ya por lo suave, me hace muchísimo daño una brocha dura y rasposa. Me he apuntado varias, lo que no me ha quedado claro es la herramienta final, el lápiz de Paula Dorf, le pones el algodón o es una cera correctora? I am not a professional mua but I value your opinion in choosing the right brush to give me a flawless finish and create a great look. About the Chikuhodo G2…..is the new version’s brush head exactly the same as the old one? Really wish I bought the G2 since I am not a fan of short handles. If the new one is not the same as before, then I can consider that money saved. Much appreciated for sharing your time and knowledge with us. It’s not exactly the same brush and I am like you, I much prefer longer handles. I am a professional and I’ve found this list extremely helpful in stocking brushes for my kit. However, do you have any suggestions for professionals who set with translucent loose powders? 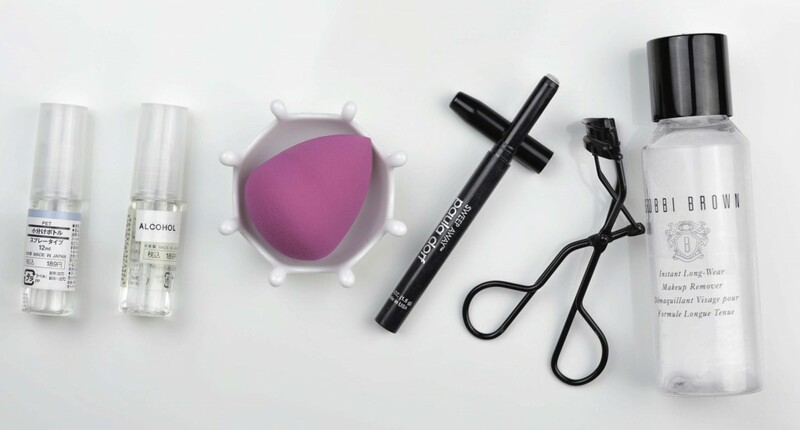 We generally use powder puffs or cosmetic wedges to press the powder into the skin, but with those applicators it can be difficult to control the amount of product picked up and deposited. It’s very frustrating for me, as I work in a very humid climate where setting powder is absolutely necessary but too much can easily cake throughout the day. If you can think of any brush suggestions to help, I’d very much appreciate it. There are many other similar ones (flat or concave shapes) but I often find them way to dense to work in stages, if too dense it would pack way too much to start with. Thank you for the response! I’m a little concerned about including a 100% squirrel brush in my professional kit because it would need to be deep cleaned and sanitized pretty frequently, as well as the cost and extra care that needs to be taken to avoid contact with oil…as of right now I don’t include any squirrel fibers in my kit. I hate to trouble you. I really value your opinion as someone with first hand experience with a huge variety of brushes, and I’d appreciate a suggestion that’s more durable if you can provide it. Hi Emily, thanks for your feedback, sorry for the delay, just a few more weeks and my life will be back to normal! I prefer to use flat brushes that aren’t overly dense for setting with powder, and in your case, I would definitely go for that pink Koyudo then. 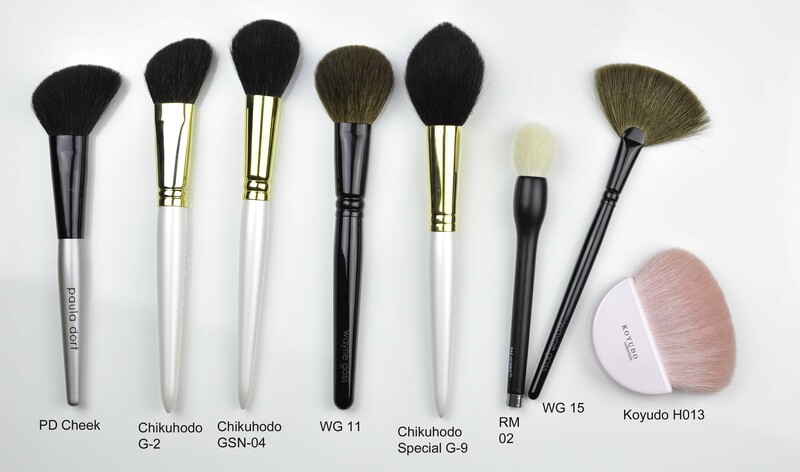 Other options that are also really good for professionals are the Chikuhodo G or GSN series, for example this : http://www.visageusa.com/index.php?main_page=product_info&manufacturers_id=14&products_id=127 although it won’t be as soft as the Koyudo or the Rae but it’s nice goat hair and these series are meant to be designed for make-up artists.